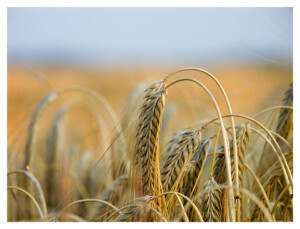 Gluten is a protein that is present in certain grains, including wheat, rye, barley, and some hybrid grains. It acts as a binder in foods. Bread, pasta, cereals, sauces, salad dressings, and many other foods contain gluten, as manufacturers use this sticky substance for thickening and texturizing food products. Celiac disease is the most acute form of gluten intolerance. It is an autoimmune disease, in which the body identifies gluten as a dangerous substance, and produces antibodies in response. These antibodies attack the small intestines’ villi, fingerlike projections that help with nutrient absorption. Gluten allergies and gluten sensitivity are generally less serious than celiac disease. A true food allergy is one in which the body has an atypical immune response to a certain food. An antibody called IgE (immunoglobin E) triggers allergic reactions, such as difficulty breathing, congestion, hives, and nausea. Gluten sensitivity is the least severe form of gluten intolerance. When exposed to gluten protein, a person with gluten sensitivity will not have an autoimmune response. Still, the abdominal discomfort or any of the other possible symptoms can be intense when a person’s digestive system doesn’t handle gluten well. Experts estimate that 5-10% of the population is sensitive to gluten. Many celiac disease and gluten sensitivity symptoms have to do with poor absorption of nutrients. Chronic inflammation of the small intestines can lead to additional problems, including certain cancers. 1. Change Your Diet. Eliminate gluten in all its forms. Most processed foods contain gluten, so they should be avoided. Add digestion-friendly foods, such as (sugar-free) yogurt, which contains beneficial digestive flora. See a naturopath or Chinese medicine practitioner to help you formulate a comprehensive dietary plan. 2. Heal your Gut. A naturopathic physician can guide you through the steps of repairing the mucosal membrane of your digestive tract. 3. Get Regular Massage and/or Acupuncture. Gas, bloating, and other digestion issues often flare up with stress. Consistent massage and/or acupuncture can keep stress at bay. 4. Talk with a Therapist. Talk therapy can help you work through any emotional barriers to optimum digestion. Our Portland natural medicine providers are adept at spotting and treating gluten sensitivity. When one of our practitioners notices an indication of gluten irritability, he or she collaborates with other teammates on the best treatment for the whole patient. As with all other aspects of health, gluten sensitivity is not solely a body issue. Gluten has been linked to depression and other mental health disorders. And gluten intolerance certainly has an impact on a person’s spirit—just try explaining to the dinner party host that the only thing you can eat is the salad. Recognizing this, we use collaborative care to address all aspects of health imbalances, including gluten sensitivity. Heart Spring Health’s naturopaths and acupuncturists can suggest dietary changes, and our massage therapists can help bring down the body’s overall stress response. Our Portland alternative medicine providers would be honored to partner with you as you learn more about gluten’s impact on your well-being. Contact our natural medicine clinic today to schedule a visit. This entry was posted in Acupuncture, Allergies, Massage Therapy, Naturopathic Physicians and tagged natural medicine clinic, portland alternative medicine, portland natural medicine.